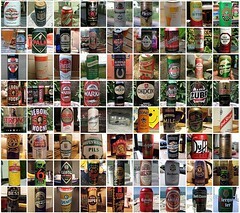 Just noticed that my beer photo collection has reached the 1,000 different beers milestone. Its been hard work but someone has to do it. There have been highs and lows along the way and a not inconsiderable amount of money involved. 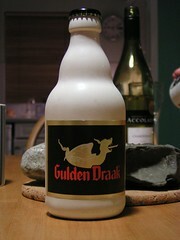 Thankfully the highs have been much more than the lows and there are not many beers I have had to pour down the drain. 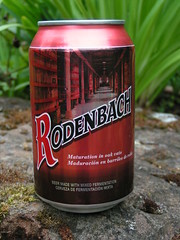 The lowest of the low, has to be Brouwerij Rodenbach, Rodenbach from Belgium, you may have read my rantings about it before but it is foul. Horrible beer very sour and vinegary, it tastes like Cameron's Strongarm when the barrel has gone off (just ask anyone from North East England what that is like). As far as I can tell these beers are made from, presumably good beers, that are deliberately soured, using aged off beer or Lactobacillus (a lactic acid bacteria) to produce a foul tasting product that is still called beer. 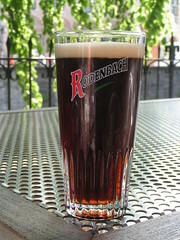 Anyway Rodenbach is a 5.2% Sour Ale, very sour and vinegary, not nice at all, had it on draught and it was bad then but I was convinced to give it another go, it was the wrong decision. I have been drinking beer for 40 something years and did not know there was such a thing as Sour Ale, it must be an acquired taste but one the majority will never get, the sour, acidic taste made my throat sore but I did finish it. Your my hero Ralph...keep drinking the beer.